In the world Pakistani food recipes are popular and whole world appreciate recipes of Pakistan. On Eid Pakistani peoples use meat mostly, so every one wants to celebrate Eid with meat recipes. This recipe will win the heart of your guests because it can be made with beef mince. First preheat an oven to 350 degrees F (175 degrees C) and crumble the bread slice into crumbs and then set aside. After that grease an 8×8 inch baking dish. Now thoroughly mix ground beef meat, onion, egg, ground mustard, tomatoes, and salt, pepper, and bread crumbs each other in a large dish. 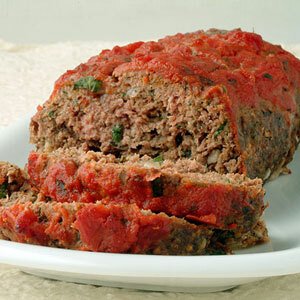 Take the meat mixture into a loaf shape of about 8×4 inches and place into the middle of baking dish. After that apply ketchup to the top and also to the sides of the meatloaf. After doing all this bake in a preheated oven for round about 1 ½ hours or until the meat remains no longer pink. 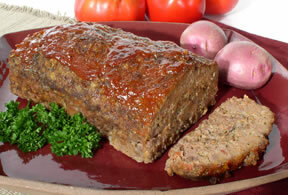 Now ketchup will form a glaze over the meatloaf in about 1 ½ hours. When finish wait for 10 minutes more and then serve it.